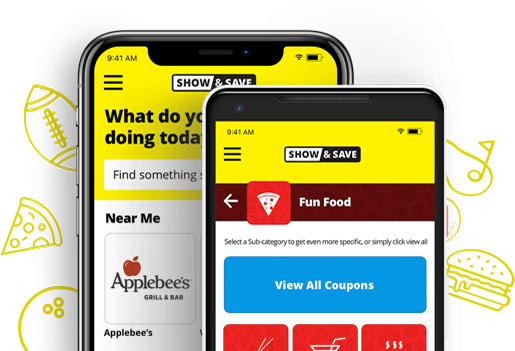 The Show & Save App is here! Bring savings with you wherever you go! With the new Show & Save App, you can enjoy all of the same fantastic benefits, without any of the fuss of paper coupons or books. 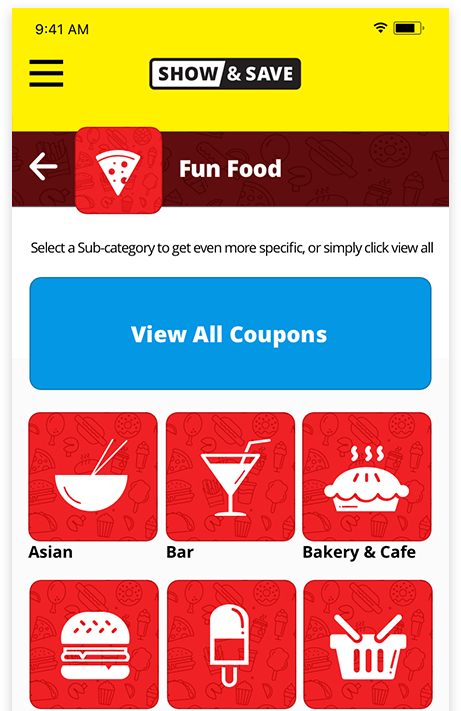 Just open the app, select the coupons you want to use, and present your coupon at the business. Saving money has never been so easy! 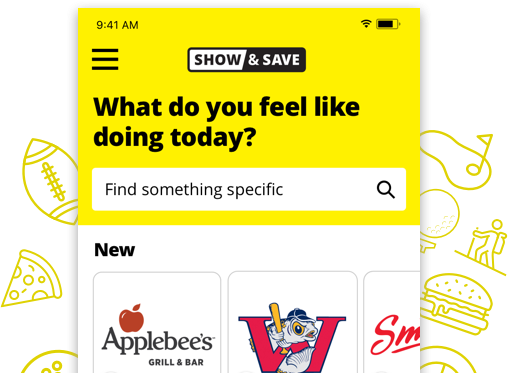 The Show & Save App is available for both Apple and Android products, and is extremely easy to navigate and use. A purchase can be made online by clicking the “Buy Now” button above, or in person by visiting our office or at one of our participating outlets. (activation code provided at time of purchase). 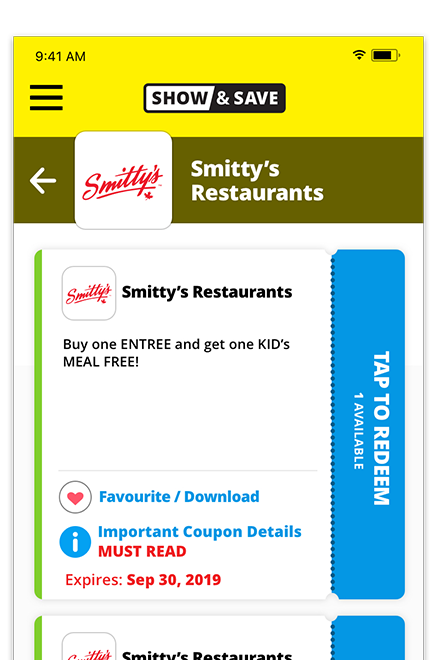 Activate the coupon and present to the business during the allotted timeframe. Once a single-use coupon is redeemed it will no longer be available, but in the near future you will have the option of repurchasing the coupon, should you wish to use it again down the road.